Blood:Water Mission has signed on with Invested Advance to take their “House Shows” to the next level! These concerts are a bit more intimate, but carry the same purpose as everything else Blood:Water sets itself to - “Overcoming the HIV/AIDS and water crises in Africa. Together.” Invested will be giving the House Shows a stronger voice in providing sound and lighting, just enough production to ensure the message is heard with clarity and goes out effectively. Invested will be advancing the shows - securing necessary equipment, working out details and logistics with the Hosts, and even sending someone from the Invested Team out to set up and engineer at these events. 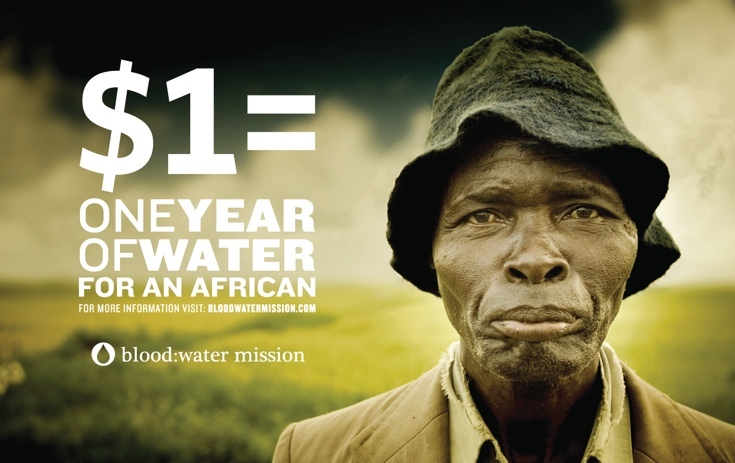 Blood:Water Mission began in the mind of Dan Hasseltine of Jars of Clay. It is a great privilege for Invested to be working not only with Blood:Water Mission and this wonderful cause, but to continue and expand the Invested relationship with Jars of Clay, who perform a lot of these House Shows. We are excited for the expansion of ourselves into this arena, and excited for Blood:Water to reach a larger audience with the work they do.